The move back is not going smoothly…. URGENT NOTICE: WE ARE (temporarily) MOVING! Tonight, 24th April 2013, was our LAST NIGHT at our current venue on Flamsteed Road at the Scout Hut. Starting on the 6th May, we are MOVING to the Scout Hut in Newnham, Cambridge. We are ALSO MOVING NIGHTS to Mondays due to lack of mid week availability at the new location. “Why, oh WHHHHYYY! ?” I hear you cry. This is not our choosing. The Flamsteed Rd Scout Hut has long been pushing for a refurbishment (which I’m sure you all agree is much needed) and on Tuesday 23nd April (yes, ONE day ago!!) we were given notice that work would commence from the 29th April – next week..making this week our last available evening til the refurbishment has been completed. Rather than cry about super short notice, curl up in a ball an cry like girls.. your club organisers have risen to the challenge and in just a day have secured a new location for the spring/summer. How long will this last? Is it permanent? It will start on the 6th May and run for 12 sessions ONLY til late August, when the club will take a well deserved ‘summer break’, reopening again in the brand new, spiffy Flamsteed Road “HOME” venue.. The refurb of Flamsteed is scheduled to last til mid-August. We’ve planned for the worst and have secured a venue til mid-Sept.
– It will NOT COST A PENNY MORE for members and non-members alike. – We can still store our terrain and boards meaning we will have the SAME PROVISION OF TABLES as we do now, if not MORE! – We can still OFFER PARKING in the shared parking of the Newnham Croft school next door – so BETTER PARKING! – We are still IN TOWN, no further out…just in a different direction! – it’s only 7:30 til 10:30 meaning you will only get one game of 40k/warhammer in, but dreadball/blood bowl/Malifaux leagues will all be unaffected. The MAP is linked as is the address. We can only apologise for the short notice, but understand that we too have suffered with this and with just 24hrs to resolve the situation, we have tried to do so in as smooth a manner as possible. Remember, we are just like you guys, we run this for the benefit of the community and nothing else and feel this is the best SHORT TERM move for the club. 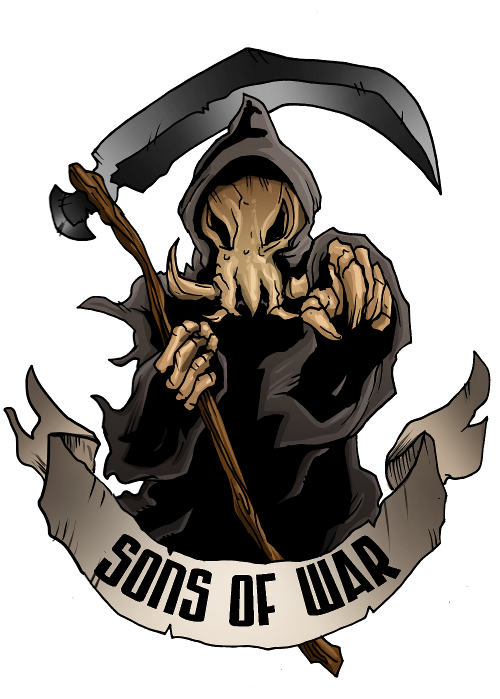 © 2010 Sons of War. All Rights Reserved. Greyzed Theme created by The Forge Web Creations. Powered by WordPress.